First off, let me apologize to everyone who was waiting for the revision of this guide. I had said I would edit it soon, but I was GG by real life. So instead of rushing a quick crappy edit, I have edited this guide more over the past few days (probably more than any of my other guides), than I ever have before. This guide has been edited so much; it has slowly morphed from a lane control guide into an overall strategy guide. While that was not my exact intention, I cannot say it was as bad thing. First off, what is lane control? Lane control is essentially, how well you can control your individual lane in a game. While that is a rough description, it is more or less correct. People seem to wonder how people who are known as â€œProâ€™sâ€ are able to completely dominate every hero they come across without even breaking a sweat. Most of the time this is blamed on imbalanced characters (which is not always wrong), but that is not always the case. In this guide I will show you many different things to help you up your game, whether it is a simple technique such as Deny/Last hitting, or the move advanced such as Orb walking. You can think of this guide, as a guide to most things DotA Allstars. It has many â€œMini Guidesâ€ that you will find in the Miscellaneous Guide Sections. But please remember that this guide is not meant to cover one aspect in depth, but to cover all aspects to some degree. I will include links to anything I can for those of you who want to learn more about a certain aspect of the game. These links will be in yellow writing at the end of the appropriate section. This guide is extremely text heavy, and quite long. Although that can deter many people from reading, I feel it is important all new players read this, and even some of the more advanced. 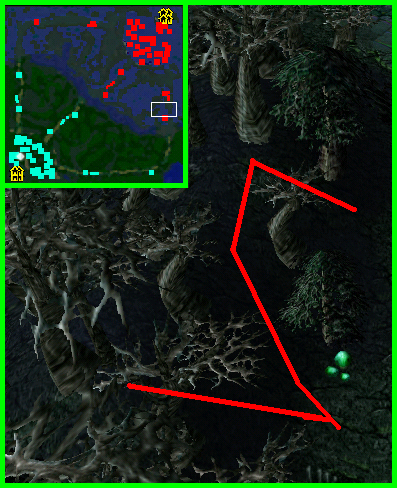 Creep blocking in mainly used in the beginning of the game to stall your own creeps from getting to point B from point A. 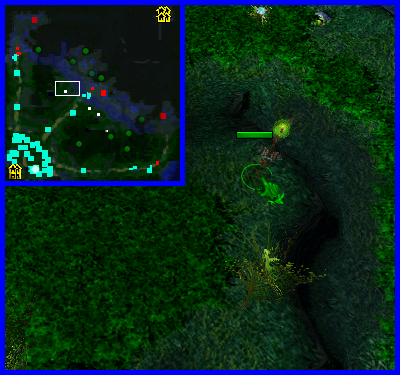 Point A being the spawning point of those creeps (The Rax in your lane). Point B is the connecting point, were your creeps and your opponent’s creeps connect and start to fight. 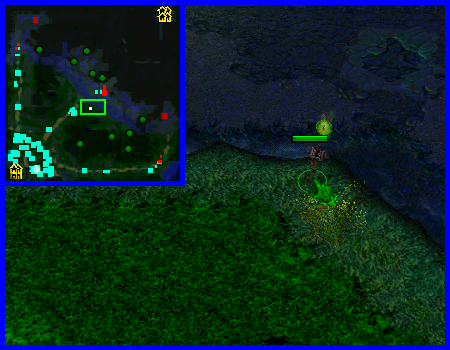 By stalling the creeps you move them closer to your side of the map, making you much safer from ganks or attacks. You always want to try and stay directly in front of them. To stall them you can either walk continuously in front, or you can also click the â€œHâ€ button and then click forward immediately. This will cause your hero to stop for a split second, and if the creeps are behind you they will fumble around you. This allows you to attack your opponent’s and creeps without fear of being attacked. You now have the fog of war and evasion on your side. Yes, I said evasion. Anytime you attack an opponent or get attacked yourself up a hill, there is an extremely high chance of missing (Iâ€™m not sure on the exact number, I think it is around 25%). So always make sure you are on a hill or attacking down a hill. You should be pressing the â€œHâ€ button as much as possible, without letting the creeps pass you. This is actually fairly basic but I donâ€™t seem to see people using it to much. Whenever your opponent is attacking your creeps and only has a few creeps left on his side (meaning your opponents creeps), you should try and disable that hero with a stun or any type of disable spell. Letâ€™s say 1 or 2 creeps are opposing you along with your opponentâ€™s hero. Wait until at least 1 of those creeps die if there are two left and the last is about to die. Stun your opponent so that your creeps have enough time to attack him once or twice. This is how you will damage your opponents the most early on in the game, not by your own hand but by your creeps. Harassing can be one of two things, regular attack harassing, or spell harassing. Either way it leads to the same thing. Lowering your opponents health low enough to either kill them, or force them back to heal. Both are effective, but obviously if you can kill them do so. Here are the different ways to harass depending on which type you are (Melee or Range) versus what type of opponent you are facing. There is an obvious advantage having a range attack to having a melee attack. A range unit will always has a natural advantage to a melee unit, one being they can attack you and get away before creeps attack them. Melee units do not have that luxury, but one thing they do have is damage. A melee unit usually has a damage advantage over range units (not always). To avoid alerting creeps to your presence when trying to back off a range unit, do not click on that hero. Instead click right behind them (behind meaning were they would have to go to run away). This does not always work because the next unit that attacks you (if any) will be the unit you go for. So before you attack that hero make sure no other unit is attacking you and go for it. Your hero (if your not attacked by anything else) will go to his default setting, which is to attack the nearest possible unit. And hopefully you go as close as possible, which should mean that enemy hero. This does not make the creeps attack you, and to get back to their tower they will have to go around you. All the while you are scoring hits on them. (Note- this is in a 1 vs. 1 situation, do not try this if there are multiple opponentâ€™s). Now that you have the advantage you might as well piss off your opponentâ€™s as much as possible. You can attack them once and click back. The creeps will most likely come for you, but you should be fairly far from the battle so it will take them at least 1 second to get to you. And by clicking back you make sure they will not get to you. You might say what does attacking them once possible do? Well once not much, but you should be doing this at every opportunity, meaning it will add up, making your job when you decide to kill them a lot easier. The epic battle, those who can animation cancel the best will most likely win (excluding damage of course). Range vs. range is probably the hardest of all of them because you both have the advantage of being outside the battle. And if you try to attack them it puts you inside the battle. Letting your opponent attack you a couple times as you try and run back from that 1 hit you just scored on them. The best way to counteract this is to let the opportunity present itself. Let a lot of the creeps die and right before your own creeps start pushing forward. Take advantage and run in and score a couple hits. Knowing when to do this is key to winning a Range battle. This battle is extremelyâ€¦â€¦â€¦â€¦..slow. Unless your opponent is kamikaze, you both will most likely be sitting back and last hitting. This is a position were your creeps are your best friends. They will be what do the most damage. In an IH game both melee units will be sitting back waiting to last hit the creeps. This can make it difficult to score any hits on your opponent. Again to counteract this you must let an opportunity present itself. Letting their creeps die and running in after there mostly dead to score some hits, is about the only way to damage them. In a public game on the other hand, this changes drastically. In most pubs no one is last hitting and are just letting themselves go all out on the creeps. If youâ€™re trying to damage them I suggest you do the same. The best way to damage them is by using your creeps, and the only way of using your creeps (short of all your opponentâ€™s creeps being dead) is by your opponentâ€™s clicking on your hero. So for that to happen you have to put yourself in the position to be attacked. So now were back at going at the creeps. By sitting there and attacking your creeps (technically you donâ€™t need to be attacking you just need to be in a position to be attacked by your opponent) you give your opponent an opening. Because youâ€™re both melee you should be right in the battle of the creeps. So if they do attack you this will pull all the creeps to them (smart huh). What you can do is just like in the above strategy, by not clicking on them. But instead clicking right next to them. Since you are in the battle the chance that you will attack the hero is slight but there is still that chance. Your opponent will most likely think â€œOMG heâ€™s attacking me, ATTACK BACKâ€ , and will click on you to attack. This is of course what you wanted from the beginning. Hopefully not to many creeps died while you were doing all of this. And now you have yourself and your creeps attacking one hero. Unless there damage is insane they will have to run or be killed. You just won your first melee battle (Kudos to you). Spell harassment is much different from regular harassment because you are usually not directly in the battle. Spells can be cast further outside of the battle, and usually does far more damage than regular harassment, to more easily damage an opponent. Depending on what hero you are, will determine how you will harass with spells. Heroes such as Lich, Tinker, Crystal Maiden, and Twin Headed Dragon have an extremely easy time with spell harassing, as they all have a spell that has a fast cool down. With AoE spells, such as THD Dual Breath, or Lich Frost Nova (yes it is AoE also) you always want to try and get as many units/heroes in the radius as possible. Of course it is easier with a spell like Dual Breath that has a larger AoE. But with practice you can time it just as effectively with Nova as well. When targeting heroes with a spell, you always want to target the hero who is more of a threat to you and your allies. Say you are laned against a Pudge, and a Crystal Maiden. Both are very powerful early game. With CM she requires items to be effective mid/late game, or she can be easily countered with a stun. Items such as BKB, DoE, Lothars (I donâ€™t know who would go Lothars but you never know) are required for her to deal damage in a team battle. With Pudge, his damage is in his spells. All he has to get is some regeneration, wait until level 7 and go off killing. So who should you target with your spells? CM is the best option you want to kill her, or force her back to heal as much as possible to delay any items she might get. Pudge has a harder time of farming anyways, as he is a melee hero, and must get up close in the battle. For him you can harass with your regular attack. Because CM is outside of the battle, she is harder to hit with a regular attack that will not alert the creeps to attack you. You might be wondering, what? Some people will say just being in the right lane is the ideal position. Well I suppose thatâ€™s true, but there are ideal spots for you and your creeps to be to make your job a lot easier. The best position mid lane is for you to be right above your ramp. This gives you a huge advantage over your opponentâ€™s. One you get for of war on your side. And two you get an extremely high chance for evasion (donâ€™t know exact number, it is around 25% I believe). You do not want to be by your tower because it can take your creep kills from you. And you don’t want to be by their tower for obvious reasons. You put yourself in a ganking position. At either top or bottom lanes obviously your not going to have a ramp to use to your advantage. So for top, you want to be as far away from your opponents tower as possible. This allows you a much safer and easier job in deny/last hitting. For bottom, you want them to be as close to your tower as possible. So that your opponents have a harder time in deny/last hitting. The very first step to lane control would obviously be the lane you initially choose. Choosing a lane can be decided upon many things, whether that is your opponents, or your hero, or any hero combos you are trying. Solo heroes are commonly heroes who have a very strong early or late game. It can also be someone who needs to get a certain point quick, to maximize his/her effectiveness for the team. A quick example would be a Tinker. He can spam his nukes, and once he hits level 5-7 he can start ganking his opponents to help his allies control their lanes as well. This is but one example, other heroes include heroes such as Silencer, who have an active skill (Glaives). These allow for great harassing, to maintain dominate lane control over a lane. Because with active abilities you do not alert creeps when you attack, you can attack them multiple times, without fear of the creeps damaging you. All of these things factor into whether or not you should solo. The other factor is gold income, heroes who require a lot of gold to remain or become effective, usually like to solo. That is because you do not want to be in your lane, competing with an ally for creep kills. The other factors, such as your allies and your hero, are usually decided by Hero Combos, such as which heroes go well with another hero. The most common, as I mention in the Hero Combos section, is Range + Melee combo. From there it goes further down, into Disable, stun, nuke, slow and so on. It ultimately comes down to your allies choice (not your own), as to who will get what lane. Soloing is primarily Middle or Top (Sentinel) or Bottom (Scourge). Always pick a lane who does not counter your own skills. If you are melee, try and get laned with another melee. If you are a lowlife agility hero, try not to get laned against a heavy nuke hero. Usually melee heroes do not solo. That is because if you accidentally get laned against a range hero, you have a very high chance of being dominated. Of course that is not always the case. Melee hero’s such as Terror Blade, Broodmother. All have great Melee lane control, from their ability to heal themselves. If you do ever decide to solo a lane with a melee hero, who does not have an active healing ability, make sure to bring plenty of regeneration. If you get laned against a good range hero, you will be harassed often. Remember that you can always switch if you do not like your current matchups. Just make sure to warn your allies before you switch. You do not want to leave any enemy hero’s alone in a lane for any length of time. Towers are by far your most important ally, at least earlier in the game, and are essential late game to survive. Most people think of towers, as the thing that protects them in the back, having no real purpose other than that. In that thought you are right, but there is much more to towers. Towers are roughly the equivalent of a level 11 hero (damage wise). And you should always be using that damage whenever possible. 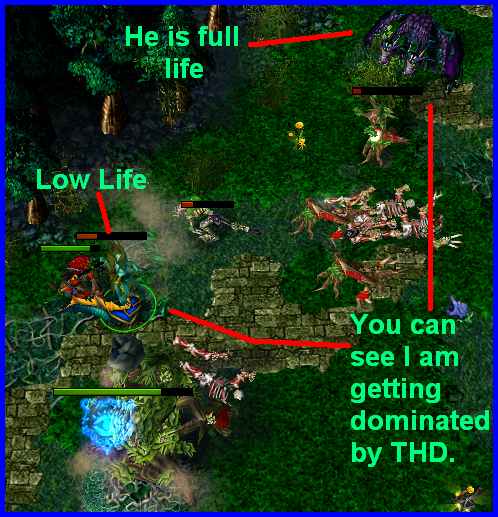 In this image, THD is clearly dominating Naga early game (Range Nuker VS Melee). I believe he thought the same thing; he was overly aggressive even for a Range VS Melee match up. Notice in this image most of the creeps, save for 1 are dead. 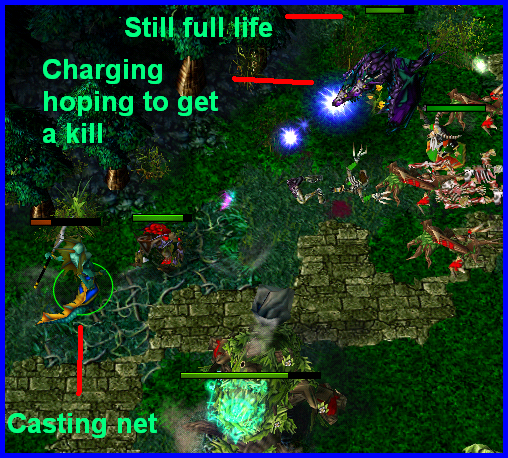 In this image, THD is still nearly full life, and he is being attacked by the tower, and Naga casts net. Notice the obvious difference in our life. Naga lets the net fly, as the tower commences in beating him down. He notices he is in trouble and tries to back up, but by that time it is far too late. The tower and Naga attack the THD many times, beating him down to a pulp, notice our life points now. THD dies, and Naga is 230 gold richer. Tower hugging, is not to be confused with defending a tower. The art of tower hugging is to prevent you from getting ganked/attacked. An example would be Nightstalker is missing (and its night), so you should back up to your tower, simple, easy, and effective. Unless that Nightstalker is a crazy Rambo sociopath, he will not try to get to you (of course your life points factor into this also). A tower is roughly the equivalent of a level 11-13 hero on your side; use it to your advantage. Obviously youâ€™re most likely going to miss a few creep waves making sure you do not die. But this is minimal to what you could have lost had you died to that Nightstalker. Em games are different from regular games, as the towers have less life and damage. This can be a problem when hiding next to one, as the tower will not kill a hero nearly as fast as it normally would. Keep that in mind when hiding under a tower for protection, as an enemy hero can usually just run in and kill you without being severely hurt. A spell, also known as a nuke, can be used in many different ways. Whether it is for damage, disable, or in some cases to take kills from allies (always fun ). Most new players usually use their spells for one of these reasons. With experience most veteran players know to use their spells sooner rather than later. It is a simple fact that as spells level up, they get stronger. I see people using their level 1 spells constantly in the very beginning of the game, and later on in the game when their spells have the most power, they have no more mana. This is a common mistake, but it can be solved with simple brainpower, and good use of judgment. Spamming a spell as fast as possible is definitely not the best way to go. Also, it should be mentioned that if you have full mana, your mana regeneration is going to waste. Being a bit aggressive with spells so that your regeneration isn’t useless is a good thing to do. For instance, I just hate it when someone starts with Sobi/Tango and then doesn’t cast a spell until like level 3 or 4, completely absurd. This is a quote by your very own Miscellaneous Guides Moderator, Akuryou. He makes a very good point. If you get mana regeneration in the beginning of the game, and do not cast a spell early, you are completely wasting your regeneration. That does not mean spam your spells like crazy. But it means that you should never let your mana get to full. Always try and make sure to have your mana regenerating. Although with different spells comes different rules. Disable spells get their own category in all things, because they have a much different purpose than other nukes. While disable and stuns, do deal damage, they are primarily used for the disable time. Early game this can be taken advantage of at lower level spells. To do that, you must lure them into a sort of trap. Waiting until almost all of your enemy creeps have died, and then disabling them for a time. This can be done either in range of tower, or just creeps. Either way you can deal massive amounts of damage with just 1 spell. Here we can see that all the creeps have died, and jug and void are still attacking. The tower attacks the closest target (Juggernaut). Tower continues to attack the Jug once more, and I am in motion to cast net on Jug. Notice he is over half dead, and the net just barely began holding him. Although he was able to barely get outside of the tower range. He was severely damage by both me and the tower. Sorry for the lack of a better name, but this is one of the most important things in this guide. If you have yet to read the section on tower hugging, I suggest you switch over to that before reading this section. Tower hugging is completely useless if you never had warning that the Nightstalker was missing in the first place. In any game you should always be warning your allies if a hero in your lane is missing. Warning in general is extremely important, but so is naming the hero that is missing. That is because you have a lot more to worry about from a Nightstalker at night, than you do from almost any other hero. Dieing because your ally did not warn you his/her lane hero was missing is a terrible way to go. Remember that if a hero has taken a long time to come back from healing it is recommended that you warn your allies again. If you are soloing a lane and are barely holding them back a third hero popping up will more than likely kill you. Ask your allies before a game to warn you about heroes missing, and say that you will do the same (if you donâ€™t think they normally would). Animation canceling is a very advanced skill primarily used on heroes such as Clinkz, Silencer, Drow, Enchantress. These heroes all have an active spell which can be either set to auto cast, where it just activates itself, or manually cast. With heroes such as these, save for Clinkz in some situations, you never want to leave their spells on auto cast. You can actually animation cancel with any hero. All heroes have a â€œbackswingâ€ to either their spells or their attacks. Some of the most noticeable are Furions teleport, or Crystal Maidens regular attack (and her spells). To get rid of that annoying animation, you must do the same thing as with orb walking. Give your hero a new command as soon as you have attacked or cast a spell, such as casting a spell (or another spell depending on which attack you did) or moving (again usually in your opponents direction). Using your heroes own attack power is key to winning any fight. Depending purely on your nukes as with Slayer or Lion is not something every hero can do. In a battle immediately using your own stun will most likely cause that person to run away, unless your opponent is incredibly aggressive. Attacking a few times before, and using stun when they start to run is a much better way to attack. (note this is not meant for heavy nukers such as Slayer/Lion). By being able to get those extra 1-3 hits on that hero before he runs you have a much greater chance at getting a kill. This does not pertain to all things though. If you are ganking or attacking a hero who is nearly dead or has an escape skill, you want to disable then as fast as possible. A lot of people do not bother to last hit, but the rewards are far greater than that of continuously attacking. To last hit, is to wait until a creep has hit a certain amount of health points, and only attack once to make sure that one attack is the killing blow. The longer the game lasts, the easier it is to last hit. That is because you should by then have some damage items, and the natural damage you gain from leveling. Certain skill can be used to make last hitting much easier. These skills give you a margin for error. Skills such as Pudges Rot, or Clinkz Searing Arrow, can all be used to last hit creeps. If you score last hits, you keep yourself safe by not pushing to far into a lane. And you increase your gold amount, because you are making sure to get the last hit (the gold). Red health or below is when you want to attack. Depending on what hero you are using means you can sooner or later. Heroes such as techies have a very hard time last hitting because of thier low base damage. This is also why a lot of people argue and talk about heroâ€™s base damage. Because the higher base damage a hero has, the easier it is to last hit. Denying is much the same as last hitting, with the exception that it is on your own ally creeps instead of opposing creeps. 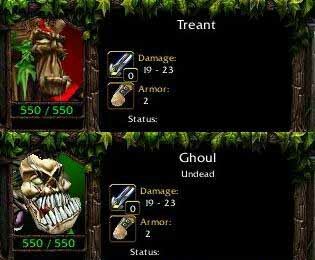 To be able to attack an ally creep, that creep must be below half health. But that is not when you want to attack. Just like last hitting, you want to wait until a creep is at red health before attacking that creep. 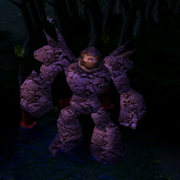 To be able to attack an ally creep, you must hit the attack command hotkey â€œAâ€, and then target an ally creep. As with all things, both denying and last hitting take practice to get right. In this guide you have learned how to use your own creeps, your opponent’s creeps, and any other type of unit/tower to your advantage. Now we will move on to something that will let you survive and control your lane without even being there (Weird huh?). Neutral creeps are there for your benefit, use them to your advantage at all times during the game. As an example, say you have pushed a little too far into your own lane and fearing getting ganked, you decide to stay back and wait by your own tower. While this is smart and useful, you can put your time to better use by creeping or using the neutral creeps to stall your own creeps. Making your opponent’s creeps get closer to your own tower. Well its quite simple, all you must to is wait for your own creep wave to get to a certain point (timing is key here or your creeps will just walk by) attack a neutral creep camp (The one closest to your own lane is probably the best) and instead of staying and killing them all, run back to your lane. Make sure you do not go out of sight, and donâ€™t run to far ahead. Lead them to a point intercepting your own creep wave, and instead of pushing forward your own creeps will stop and start to attack the neutral creeps. Once the neutrals have been away from there camp for a certain period of time, they will try to return (taking your creeps with them), and viola you just stopped a whole wave of units. Now your opponent’s have no choice but to follow their creeps directly to your tower, while you laugh at them the whole time (Laughing = Optional). The last strategy I can think of at the moment is neutral creep dieing. This is a bad name for it, but the basics of it are, running into a creep camp and letting them kill you to stop your opponent’s from getting experience and gold. This is a very good thing to get into the habit of, because you never want to give out gold and experience if you don’t have to. If a neutral creep camp is not around, dieing to a tower or other creep is acceptable. In almost any guide you read it tells you about how constantly attacking is a bad idea. Here are the different styles, and the Doâ€™s and Donâ€™ts related to them. There are 3 styles of attacks that one can use. 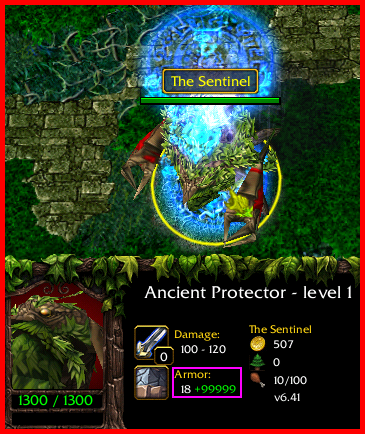 Last Hit: This is when you time your attack to take out the last sliver of health a creep has. This should be used in almost any situation. The drawback to this is that it is quite slow. When pushing or defending, waiting for creeps to hit a certain point can take a very long time. That can be a very bad thing, especially when you need to get rid of them quickly. Constant Attack with timing at end: Basically a middle point between last hit and continuously attacking. In some situations you should be constantly attacking. 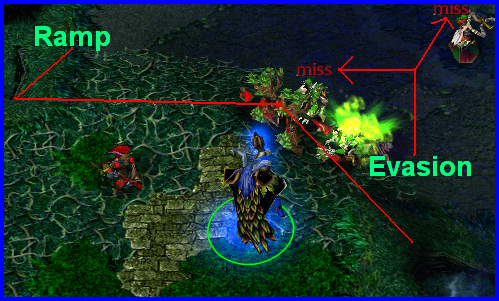 That is because constantly attacking pushes the creeps further back, or pushes opponents away from towers and such. When pushing a lane quickly: You want to push as fast as possible. To do that you must kill creeps quickly. Sitting around waiting for your creeps to get them to red life will take a very long time. This is one situation were constant attacks are a good thing. When defending a lane: Your opponents are pushing quickly into your lane. They are going to be near the tower soon, and are going to deal heavy damage to the tower. Because towers are vital to winning a game, you always want to keep them as high as possible in life points. Allowing your opponents to push next to your tower is fine, but you do not want them actually attacking the tower. If they push a little too far in, you should start to continuously attacking to push them back. As soon as they reach a safe position, you can resume last hitting again. Last hitting should be used in 90% of situations. Constant Attack: This is the style most â€œNoobsâ€ use and they get ridiculed for it. You should never be using this style of attacking. You should always be last hitting, and only using constant attack with timing at end in the certain situations. This form of attacking will get you â€œownedâ€ against a good player. Hero combos are not really used in lower level play (public games) but in higher level play (IHL, most IH games) Hero combos are essential. A hero combo is essentially a combination of heroes who compliment each other nicely. Combining heroes just right is essential because you need to even out your damage, stuns, nukes, and disables. Depending on what type of hero you are, can decide who you will pair up with. Usually a stun is combined with damage, so that they can deal a lot of damage during the short stun time. Runes are commonly used with wards. Placing a ward above a rune location allows you to check and see if a rune is there and what kind of rune it is. This is very helpful as any rune is useful. Using runes will help any team to take out a quick hero, or let someone survive further. Going further into detail on runes, every rune is important, although admittedly some more than others. Illusion – Most people would say illusion being the most useless. Although illusions in high level play can be one of the best (if used right). Letâ€™s say your mid lane, your ward shows you having an illusion rune at the bottom spawn. You run down there and take it. In high level play (if they donâ€™t have wards themselves) your opponents would warn there own teammates that your missing, which would in turn, cause most of the enemy heroes to back up to their towers to avoid a gank. To counter this, take your illusion and put it back were you were supposed to be (middle) make sure you donâ€™t attack with it or get hit with it as this would give you away. You now have freedom of movement for a short period of time. This freedom can now be used to do anything (ganks, heal, buy items). Although the first (gank) would be most useful. Haste – Being warned about someone missing and having time to react are two different things. Say your teammate just warned you that someone was missing, and then they come charging at you 1 second later with haste. Pretty much guarantees a kill. Also allows you to heal and get back to your lane extremely fast. Regeneration – Probably the most useful rune as it can be used by every hero. Not much can be said about it that isnâ€™t to obvious. It saves you a trip back to base to heal, and allows spamming of your nuke if you have one (long as you donâ€™t get hit). Heroes that can spam nukes include, Zeus, Lich, Crystal maiden. They all have a powerful nukes that have fast cool downs. Double Damage – If youâ€™re not a DPS hero with high attack speed donâ€™t get this. Save it for teammate UNLESS your teammates cannot get to it in time. Do NOT allow your opponents to get this as it spells death for any hero. Invisibility – Can be used in the same general way as illusion. It is used for a gank, to position you behind an enemy hero to get a kill. Although honestly in high level play to me illusion is more useful. As with invisible your opponents will still know youâ€™re missing. But it is still very useful. If I have not covered the basics or you want to know more you can find a great guide on runes Guide to Runes, by MasterJoe. Teamwork is the basis of all DotA Allstars games. In public games it is much less noticeable as it is in higher level games, although both do utilize it. Teamwork does not mean two or more heroes both attacking the same unit/hero. Teamwork is considered all things dealing with the cooperation of two or more heroes. That does include attacking a hero/unit, but is most definitely not limited to that. An example of bad teamwork, is two ally heroes both attacking the same enemy hero. Say they both have a stun or disable spell, and one immediately casts their spell to stop the running hero. 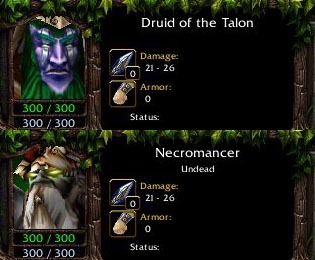 In most public games, the 2nd hero would either immediately cast their own disable, trying to get the last hit, or wait and not use their spell until they are absolutely positive that it will get the kill (also known as kill stealing). A good example of teamwork is, using the same scenario, if one were to stun. And right before the first stun ended, the other hero also stunning. This makes sure that that hero gets the full disable time of both spells. It also lessens the damage either of the heroes would have taken, had the opposing hero been able to attack. In a team battle you always want to cast your lower cool down spells as fast as possible. That is because the faster you cast them, the more you can cast them in a single battle. It annoys me very much when heroes like Zeus or Slayer save their spells just to try and get the last hit, when if they had cast them right in the beginning of the battle, they would have been able to cast it at least once more before the end of the battle. Always try to kill a hero as fast as possible to lessen the damage you and your allies take. Obviously talking is much faster than typing. In higher level games, the players are usually talking with their teams on a program called Ventrilo. To do this you need a microphone, headset and to download Ventrilo. The link to the Ventrilo website can be found Here. DotA-Allstars ever has their own Ventrilo server that can be used by anyone who wants to use it. You can find all the information on the DotA-Allstars Ventrilo Here. Ventrilo is a small program actually. It has fairly good quality; there are 2 other types of talk programs that I know about. Skype, and Teamspeak. Skype has the highest quality out of all 3 of them, but it has its limitations. For one it takes up a lot of hard drive space. So if you have a slow computer, playing DotA and having Skype on can be a problem. Also only 5 people may be in a chat room at a time, which makes a big clan or channel impossible to keep together. With Teamspeak, you have much less quality than both Skype and Ventrilo, and it also uses up more hard drive space than Ventriloâ€¦â€¦â€¦weird. Here is a great guide on how to use Ventrilo. Wards are essential to any team, whether for map control, or just to have sight over that annoying invisible hero. There are many different locations to place a ward, depending on which lane, and side you are on. This is of course, the middle of the map. It is very common in all levels of play, and it is one I use quite a bit. It is mainly used to remove the fog of war, so your opponents cannot use it to their advantage. It also lets you nuke them without having to run up the ramp to get sight. This spot is not common, at least not in public games, although it is a great spot to place a ward. To get the sight of this location, you can press the Insert or Delete key on your keyboard. It will rotate your screen, giving you sight. This gives great sight for either side. It is common in both pubs and TDA/IH. I use it quite a bit depending on which hero I am playing. Chickens can also place wards. Using them to place wards means you get to keep that extra space in your inventory. Also, if your opponents pay attention, a lot of people will notice the wards in your inventory and (through common sense) know that you have placed one or two depending on the number of wards you have left. 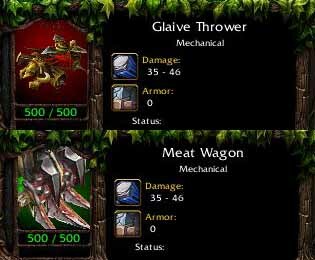 Placing wards with chicken removes that, although you need to be careful of heroes in the woods. You donâ€™t want to get your poor chicken killed, that is just meanâ€¦..
You can find a great guide on wards A Guide for Warding. This should teach you common warding spots. In public games I see players just casting off their spells with no regard to disable, slow, stun, or any other time. Chaining does not mean your ally casts a spell, then you cast a spell, then your ally casts a spell, ECT (well it kind of doesâ€¦â€¦. But there is more to it). When casting spells with allies, you should always be aware of the time of the spell. Whether that time is slow, stun, disable, or anything else, you should always be trying to maximize the duration. You always want to make sure that your allies have ample time to cast their spells as well as your own. Great spell combos are AoE spells, such as CM Freezing Field, Sand Kings Epicenter, or Enigmas Black Hole. All of these can be combined together to deal massive amounts of damage to a team. Enigma Black holes, during that Black Hole CM runs in and starts casting Freezing Field. By doing this you combine your attacks. Using the disable time of Black Hole, combined with your own spell, gives you a great combo with which to utilize a battle. Any spell can be timed to combine with another spell. Disable spells, stuns, slows, and damage are all capable of being combined. With damage spells you are trying to deal as much damage as possible with your allies, to kill your opponents quickly. Therefor reducing the amount of damage you would take from them. You and your allies should always be thinking about this before a battle. Talk with your allies about who will initiate the battle with what spell. This can go hand in hand with Ventrilo and warning also, but this is an art of itself. Communication is absolutely essential to anything in DotA. One of the most important things you can learn in the DotA world is to always be talking with your team. Before battles you should be picking out heroes to target, heroes to ignore, and heroes who you should stun or disable. I have seen teams be completely dominated throughout the entire game. Only to realize that it was â€œinsert hero nameâ€ who was dealing the most damage to them. They target that hero quickly in the beginning of a battle, and then just mow over the rest of the enemy heroes once the target is dead. This is also known as Focus Firing, all heroes targeting the same hero to kill that hero as quickly as possible. This can also refer to things after a battle. Telling your teammates back before, after, or during a battle can severely reduce your losses. Or allow you that extra kick to take out the opposing team. While talking in a battle might get you killed. You should always be trying to relay information to your allies. â€œQoP coming from behindâ€ might seem dumb to say. But a lot of people do not notice simple things in a battle. Some of them are focused on killing, surviving, running, or healing and do not notice. Of course, that does not mean become a chatterbox during a fight. Typing paragraphs in the middle of a battle is definitely not the way to go. But quick words that are meaningful and essential to survival will always help your team. â€¦â€¦â€¦â€¦â€¦â€¦Yeah talking like that is a bad idea. It is quick, simple and to the point. You should always be abbreviating whenever possible. Putting in connecting words such as the, and, or, is not always needed and can just waste time. You always want to get the point across with as few words as possible. Just make sure it makes sense. I cannot think of a better name for this, so just go along with it for now. This is (for lack of a better name) the art of killing an ally. Youâ€™re probably wondering, if you have never seen or heard of this done, what on earth this is. Well the name kind of speaks for itself. But the art of killing an ally hero is much the same as suicide to neutral creeps. You do not give your enemies experience or gold. This is an extremely advanced skill and takes some amount of skill from both people to accomplish. You can only kill an ally unit if they have a negative buff on them (I am not positive as to all the buffs that allow an ally to kill you. But I know for a fact there are two). It is much the same as killing an ally creep. You press the A button and click on your ally. Your hero should start to attack them. If you can’t, nothing will happen. The correct ally denying information is as follows – you can attack a Shadowstruck, Viperstruck, or Doomed ally at any amount of HP. Those are the ONLY spells that allow you to deny, Battle Hunger, Curse of the Silent, Shadow Word, etc don’t let you deny. And yes you seriously can attack them at any HP, I’ve screwed around and killed friends hit with level 1 SS while they were basically at full HP to start . For killing ally heroes timing is essential. You don’t want to attack an ally unit and miss the last hit, meaning you just killed him even faster. 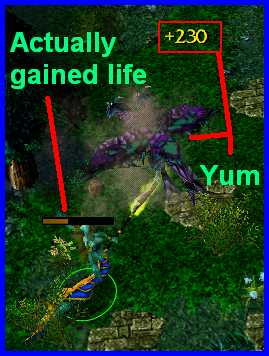 Use good judgment, if he is poisoned and the poison is dealing 90 damage per second and he has 120 life, wait until poison hurts him one more time before attacking him. If you donâ€™t, you just gave that Venomancer (or whoever poisoned) an easy kill. Most public players out there will tell you what makes and breaks a good player is going 31- 0 in a game. Now I am not saying hero kills are not very important, but killing a hero is not always needed. People that see a hero half dead and run in themselves just to get one kill and die or are severely damaged; forcing themselves to go back to the well to heal just make me angry. Let’s think about this for a second. Letâ€™s just say a Crystal Maiden and a Bloodseeker are laned together, against a Rhasta and a Lion (ouch). A battle just occurred and the Rhasta and Lion both went out of the battle severely damaged forcing them both to go back to the well to heal. A good player would take advantage of this and either farm more, help gank another lane, or try and take down that lanes tower. But in almost any pub the Bloodseeker would run in and try and get him some kills. Nearly killing himself in the process (if not dying). Him being dead does a couple things, it severely reduces the damage you could of used on a tower or in a gank, and if he died (which is far more likely in high level play) lost a lot of gold just for a number on a scoreboard. Now by all means if you have the chance to kill a hero without severely hurting yourself take that chance. Iâ€™m most definitely not saying hero kills are bad. They reduce your opponentâ€™s gold and the amount of experience they get while they are dead. But nearly killing yourself or really killing yourself is not the way to go. But again we go back to the lane match up Bloodseeker/Crystal Maiden VS Rhasta/Lion. Say the same thing happen the Rhasta and Lion are both severely hurt having to go back to base to heal. They not only lose farming time and experience but allow you freedom of movement as you no longer need to protect your lane for a short amount of time. Allowing you to go gank a hero or also allowing you to maybe take out your lanes tower. In the long run this would be far more viable than the first. If you get nothing from my ranting, I hope you get this. DotA is about killing your opponents base. It is not about how many numbers you can get on a scoreboard (although they do help). What cannot be said about Juking. It is the art of deception used to either lose your opponents, or to trick your opponents. Either way is quite effective, and should be used whenever needed. To juke, you must either force your opponents to lose sight of you, or force your opponents to lose you all together. There are many different ways to do this, but the most common is the sight juke (bad name but who cares). A sight Juke is a Juke commonly used by running through trees. Depending on what lane you are in (this is were the lane control comes in) you might have to use your Juking location a lot. 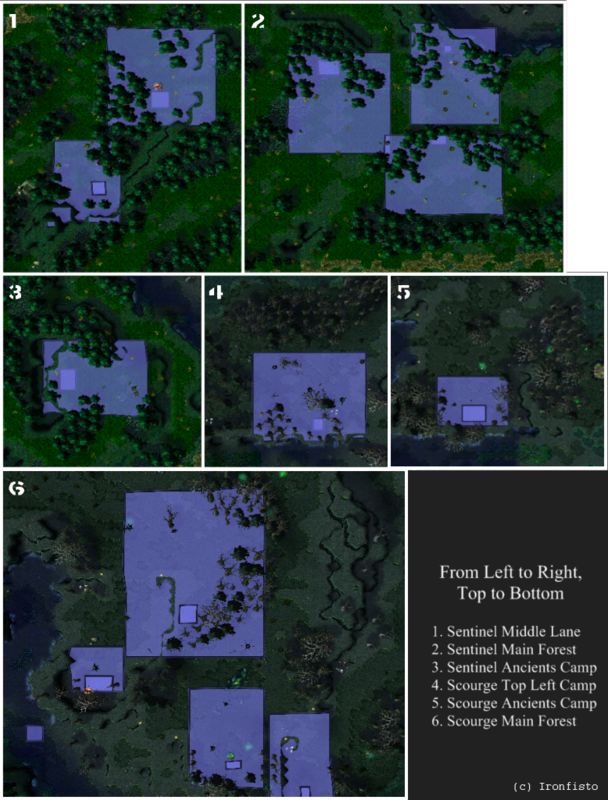 Here are the most common Juking Locations for Each Team (Sentinel and Scourge) divided into the 3 different lanes. Technically this can be commonly used for either side (Sentinel or Scourge) but the top lane is severely lacking in good Juking spots (if anyone knows of a good Juking location for the top lane, located in the top lane and not around it, then please PM me it or just post it here. I will of course give credit to you). I cannot express in words how many times this spot has saved me. But I can however express it in numbers, 1345246213458589. Yeah, that is how good it is. This is by far the most commonly used Juking location. In almost any level of play you can see heroes trying to hide in this location to lose a hero, or to make a hero lose sight of them. That is because it is a great location. You can use this from any angle, and leave from any angel, making this a very versatile location, not limited by the usual 1 way in 1 way out. 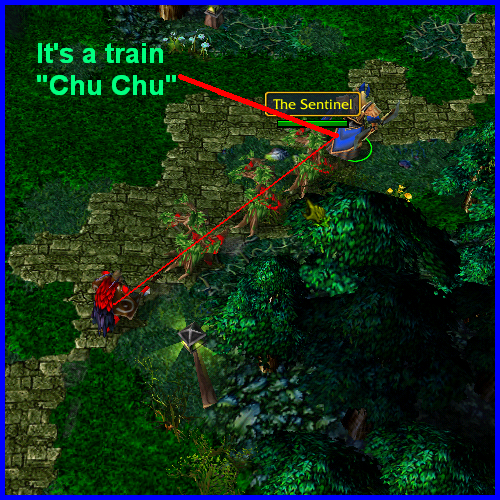 Next to the middle lane Juking location for sentinel, this is the most commonly used Juking location. It is great because, depending on whether or not the tower is down, all you have to do is run back here, and unless your opponents are kamikaze, they cannot chase you without risk of dieing from the nearby tower. Not heavily used unless you are trying to avoid an attack or nuke. But that doesnâ€™t mean it is useless. Using this spot correctly does not mean running straight to the back, but instead running in and out the other side. A common mistake people make is to run straight back as far as possible. This does nothing but trap you in between trees and your opponents. A fairly new Juking location, but its usefulness is already a staple in most team matches. You can commonly see heroâ€™s running back through this to get as far away as possible from enemy heroes, which is exactly how it should be used. As appose to most of the other Juking locations, this spot is not commonly used. Although it is a great Juking location, it is not commonly known for some reason. Again this is mainly used to force your opponents to lose sight of you, and to some extent to lose them altogether. There is no current guide to Juking, although Kleech and I are in the process of writing one together. As soon as we are completed, I will link it to this guide. This can be accomplished one of two ways, either by going to a tower being attacked, or by using teleport. The first (going to tower) is boring, but semi effective of course. The other is much more effective, faster, and much cooler . Teleporting is defined two ways, either teleporting by BoT, or by Scroll of town portal. Either way is fine, but Scroll of town portal is by far the most effective means of defending a tower. Why you might ask, is a town scroll so effective? Well when you teleport to a tower with a town portal scroll, you give that tower a bonus in armor. The exact amount of armor boost is 99999 (the max amount of armor you can have), making that tower nearly immune to attacks for a short period of time. BoT does not give the armor bonus no matter what you do, which is why it is not as effective. For the armor bonus to occur, you must actually click on the tower to teleport. Using the mini map or clicking right next to tower does not work. You must click on the tower. There are two ways to Scroll teleport. Either teleport and let yourself â€œgoâ€, or you can teleport and then press the hold position button â€œHâ€ right before you teleport. This will stop you from teleporting in the middle of a bunch of enemy heroes, which is not very smart thing to do, but still give that tower the extra defense for a short period of time. You can also teleport to Rax to get the same bonuses in armor as with towers. With towers if they fall below 130 life, and someone correct me if I am wrong, you are able to deny them just like a creep. Just click the â€œAâ€ button and click to attack them. If you see a tower being attacked by creeps, you want to attack one of those creeps and run back. This will pull the creeps off the tower into chasing you. You have regeneration to get back the life you lose, while towers do not. It is a small price to pay to take a few hits from creeps to save a tower in the process. If you are a melee hero or a range hero who does not have an active skill, such as searing arrows, clicking on your opponent to attack will turn the creeps on you. You can semi-avoid this by instead of clicking on them clicking in front or behind them and allow your hero to be right next to them. This will more likely than cause your hero to attack their hero. This is mostly to be used with a stun or some sort of disable, as running right up to your opponents is never a good idea. With Rax and towers you can actually deny both. But with Rax you do not want to deny. 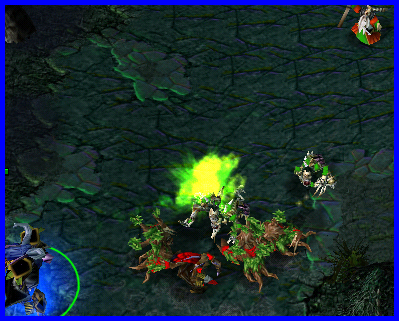 A key difference between Rax and towers is that Rax have regeneration, while towers do not. Town Portal scrolls are invaluable. Whether to save a tower or help an ally lane, you should always have 1 in your inventory for just such as occasion. Especially versus heroes, such as Naix, who have a slow and will hill you if you try to run. Most heroes who have slow spells such as those cannot stop you from teleporting. It is a great counter to any Slow hero. Versus stun heroes, just wait for them to use their stun, and then teleport. Although a little more dangerous, the reward is keeping you alive. In my guide I link a lot of different guides for better references. Here is a complete list of those guides, and some others that I recommend that do not go with a section. Neutral Creep Guide by MrX Another highly recommended guide, just recently appointed premium (took you guys long enough ). It is a great source for all things creeps. This is one of my favorite guides on the forums. Guide to Runes, by MasterJoe Itâ€™s MasterJoe, the guide must be good. That or he is completely fooling us all (really hope that isnâ€™t the case )). A Guide for Warding Guide I use when referring to ward locations. 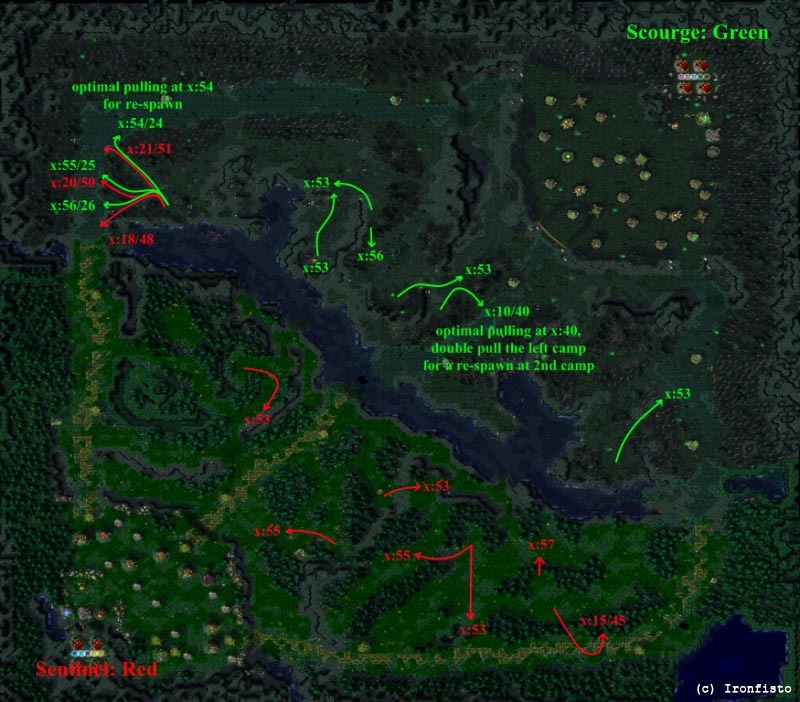 Although a bit outdated, and lacking a few spots, it is still a great guide for wards. This is his private PM box. I got a lot of suggestions and answers from him. He was a very good reference, as you can tell from all the quotes in the guide. PieMonger’s Guide TO EVERY SINGLE HEROYou now have the skills to play in a lane; all thatâ€™s left is to pick a hero. Here is a guide of all heroes, and their basic strategies. This is highly recommended for new players trying to pick a good hero to learn, and for old players for some quick references to strategy. ECKsO’s ::Hero Counter Guide:: Great new guide, it should be insanely comprehensive once its completed. Although I am not a big fan of counters, I really like this guide because it is well written, and in depth. BLOAW’s Guide to Lane Control Want to read another guide like mine? BLOAW has updated his guide a lot, enough that it is a VERY good guide now. If I am not careful it might take my premium spot . Thank you for reading my guide, if you have anything you think should be added or any errors I might of made feel free to post them here. If anyone would like to use any of the images in this guide, or any of my other guides for that matter, all I ask is that you PM me first, telling me what you are going to do with them. And give me credit to them in your guide or whatever youâ€™re going to do with them. Unless I am in a very bad mood, or I just donâ€™t like you (probably wonâ€™t happen), I will most likely say yes.